Forbes, Twitter, Flipkart Turned to Progressive Web App… Find Out Why! Today, we live in a world where any task; small or big can be accomplished with just one click. Here we are talking about the world of applications. And, there is no denying the fact that the applications have turned our lives upside down by making our work so much easier and faster. If figures are to be believed then in 2013 alone the total number of apps resting at Google Play Store were 1 million which is now increased to 2.8 million. Apps are a prominent part of our daily lives and we need them to serve different purposes. We need them to such an extent that the memory of our smartphones is always full. Keeping this whole scenario in mind, would you believe if we tell you that you can have a thousand apps on your phone without even having to worry about your phone’s memory. Well, we know, it is! 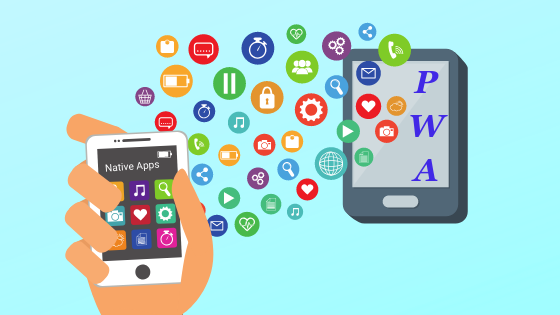 So, through this article, we are letting you learn about these new versions of apps called- PWA or Progressive Web Apps. 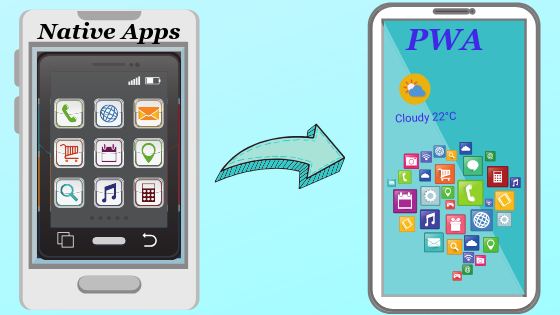 PWA or Progressive Web Apps are the web pages which act just like an app but are lighter and can be loaded on any handheld device like mobile phones, tablets, etc. They are also faster, consume less space and data and the best part is, they can even work offline. How Does Progressive Web Apps Work? But, you might be thinking if PWA are that purposeful then, why not these apps are not common yet! Now, it is gaining more attention from designers and developers. Well, this is isn’t in the case of PWA, hence it is an advantage of PWA over native apps, developers just have to build only one. Another major demerit of those native apps is they face installation friction which is estimated as: generally, it takes minimum 6 clicks from a user to install a native app and with every additional click, you lose approx 20% of the users. Let’s understand with the help of an example: Suppose you’ve spent hours on searching for a specific restaurant on a food app which you never really found out. Though these native apps have their very own search feature, it won’t get you favorable results. If you want the desired search outcomes from different apps then, you will probably have to search every individual app. The problem is native apps cannot be crawled on search engines, but PWAs can be! With PWA you can search for stuff on Google and get desired results from the content inside your PWA. Visiting the app store searching for the right application and beating the installation friction is a tedious task in itself. If all this doesn’t bother you much then, you have to deal with the slow network connection. With PWA, you can totally ditch these problems. These apps are easy to install i.e. take seconds, take up less space and can work offline. Besides the native apps, PWAs also supports the web push notifications feature. These push notifications are small clickable pop-ups which shows up on our screen when we are online. So, a core feature of native applications is also available in the case of PWA. Hence, these are more appealing. In this smart app-driven world, we are very much used to these apps. Also, you would have noticed that these apps require time to time updation. But, in the case of a PWA, there is no such concept of updating apps on user side. PWAs automatically gets updated in the background with the minimal data usage without any actions required from the users. Your in-app experience never gets disturbed which further adds up to a great user experience. Building a good mobile app can really boost your business but developing these apps are not that economical. 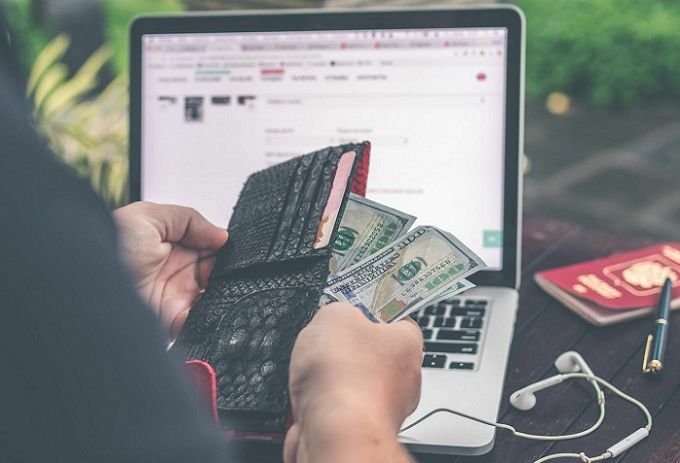 Native app development is expensive too because these need to be developed for different platforms separately hence, the increased cost. PWA on the other is platform independent that’s why it requires less development cost. Knowing all the major benefits of PWA, big businesses are adopting the PWA concept. So, here we are giving you a detailed insight of PWA with the help of top 5 examples. Famous news sharing and a social platform, Twitter which doesn’t need any introduction. People these days use mobile phones to access all kinds of online businesses. Thus, Twitter needed a more reliable and better user experience, an app which would increase the loading time and decrease the bounce rate. Hence, the new Twitter Lite app was developed and received an incredible response. This PWA needs 3% lesser space than Twitter’s native app. The app generates more than 10 million push notifications every single day which is indeed a huge user engagement. 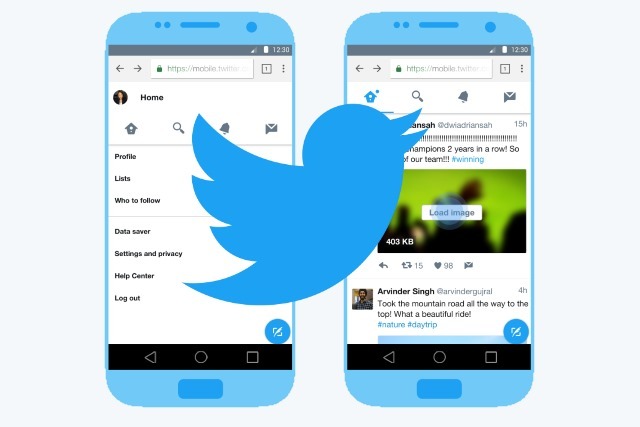 According to a case study by Google Developers, over 250,000 Twitter users access the app from their home screens directly at 4 times per day frequency. It is a leading online shopping platform based in China. AliExpress has used a native app for a long time but the cutthroat business competition made them build a PWA. The brand decided to combine their best features with the wide reach of the web by developing a cross-browser and platform independent AliExpress PWA. 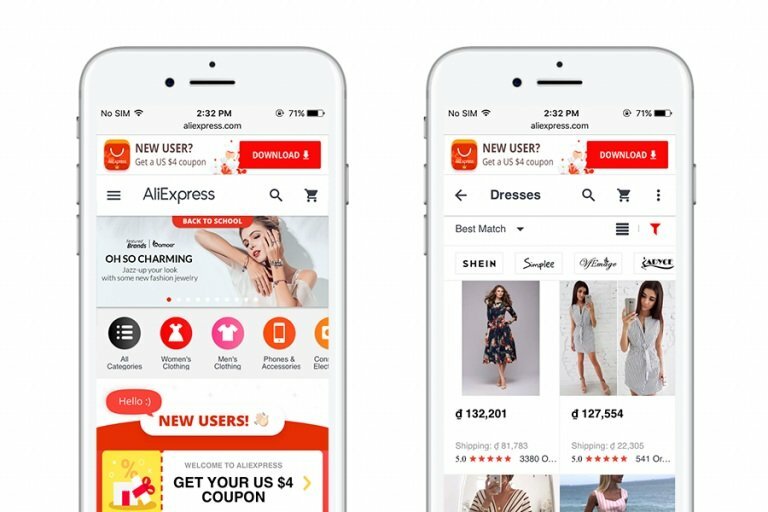 Surprisingly, after the implementation of AliExpress PWA, the conversion rates for new users were increased by 104 %. The American media giant, Forbes, absolutely needs no introduction. It is famous for featuring the original articles on subjects mostly business, science, technology, finance, industry, marketing, investing, communications, politics, law, etc. For all the online magazines and newspapers, mobile presence is really important. According to a survey by the Pew Research Center, 58% of the U.S. adults like to use a smartphone to get the news updates. So, by developing a Progressive Web App experience. 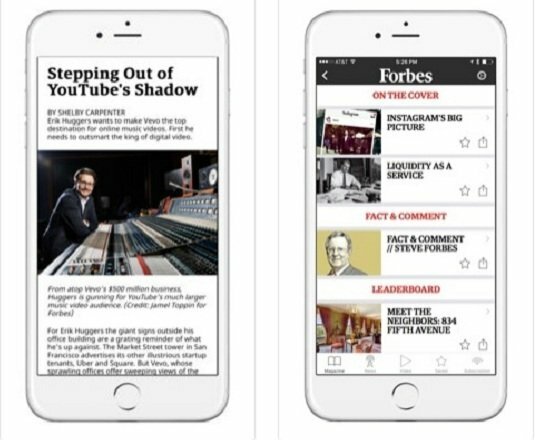 For every user, Forbes now enjoys 43 % more sessions, 20 % higher add visibility and 100 % greater user engagement. The users can also get push alerts with other familiar features of native apps when it is installed on an Android phone. 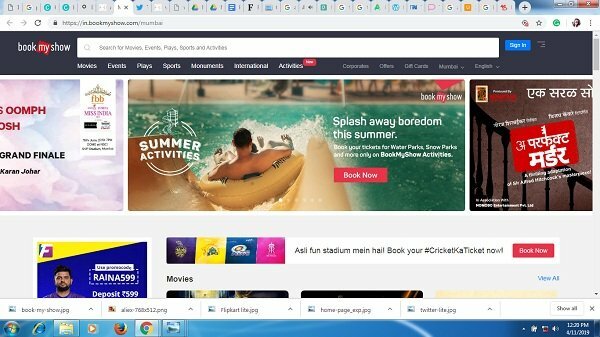 India’s largest movie ticketing company, BookMyShow, is another best example to explain how modern web technology drives sales. We know that India has struggled through the proper internet connection until recently. So, Indians have discovered the world of the internet just now. Looking over the Indian economy, buying a computer for them is still budget wrecking thing. Hence, they prefer phone and phone apps. In order to increase the Indian users’ experience, your business should rule the mobile app world. BookMyShow realized this fact and hence, developed a PWA for their business. This explains how it managed to deliver an increase of 80% conversions. 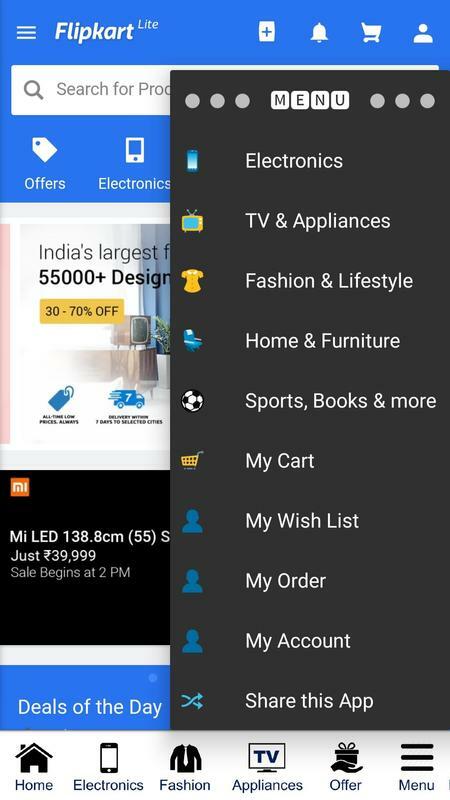 Flipkart is the largest e-commerce website in India. So, again keeping the Indian economical condition in mind and being the largest one, it is immensely responsible for providing better consumer experience. More than 80% of their consumers use mobile phones that too on lesser internet bandwidth. After the Flipkart development, the user can add this app on their home-screens and relaunch their website in just one click. Also, people can enjoy offline surfing of the products and shopping on even lesser internet bandwidth. 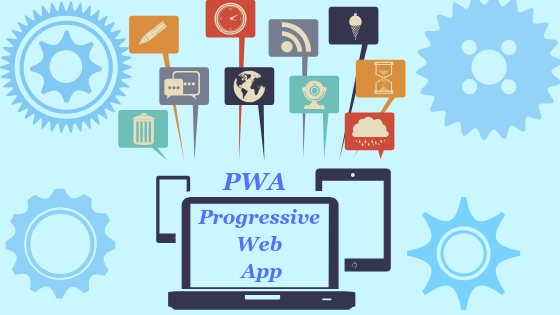 So, by now we hope that you’ve understood the concept of PWA (Progressive Web Apps). These apps are indeed useful and helpful in building better consumer or user experience. In case, you are looking out for PWA development then, Orion eSloutions has a great reputation in providing exceptional IT services. To know more check out our services.